Deborah L. Mains graduated from the State University of New York at Albany in 1992 with a Bachelor of Arts in Russian Studies and obtained her Juris Doctor from the Rutgers University School of Law at Camden in 1995. 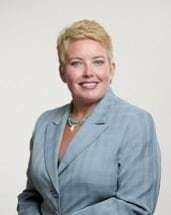 After completing a judicial clerkship with the Honorable Mary E. Colalillo in the Superior Court of New Jersey, Camden Vicinage, Deborah joined the labor department of a large South Jersey union side litigation law firm, exclusively representing unions and employee benefit funds before state and federal courts. In addition, she represented individual workers in a variety of state and municipal court actions, assisting them with everything from unemployment benefits to criminal charges. Deborah continued her representation of workers in labor and employment matters in a boutique employment and labor litigation law firm in New York, New York and, later, became associate general counsel of the largest property services union in the United States, where she represented the union before the federal courts and the National Labor Relations Board. Most importantly to her, she also arbitrated hundreds of grievances on behalf of individual members of the union who had been unjustly discharged, disciplined or otherwise deprived of benefits. Deborah joined Costello & Mains, LLC. on January 1, 2008. At Costello & Mains, LLC, Deborah exclusively represents workers and their families in a variety of employment law actions, including workplace harassment, sexual harassment, discrimination, Fair Labor Standards Act violations, other wage and hour violations, Family Medical Leave Act violations, whistleblower actions and other matters. Deborah chairs the firm's class and collective actions, Prevailing Wage Act and Fair Labor Standards Act practices. Deborah is licensed to practice law in New Jersey and in New York. She is also admitted to practice before the United States District Courts for the District of New Jersey, the Southern District of New York and the Eastern District of New York. Deborah is admitted to practice before the United States Court of Appeals for the Third Circuit. She is also admitted to practice before the United States Supreme Court. Deborah is a member of the New Jersey Association for Justice and serves on the Board of Governors of that organization. For the New Jersey Association for Justice, she is also a co-chair of the Women Trial Lawyers Caucus; Co-chair of the Public Relations Committee; and a member of the Employment Committee and the Civil Practice Committee. Deborah is also a member of the American Association for Justice, the Camden County Bar Association, the Hispanic Bar Association of New Jersey and the National Association of Professional Women. Deborah regularly speaks at continuing legal education seminars, teaching other lawyers how to practice employment law. Has been included on the list of "Super Lawyers" published by Thomson Reuters from 2017-2019. - A description of the standard or methodology on which the accolade is based can be found here Super Lawyers.